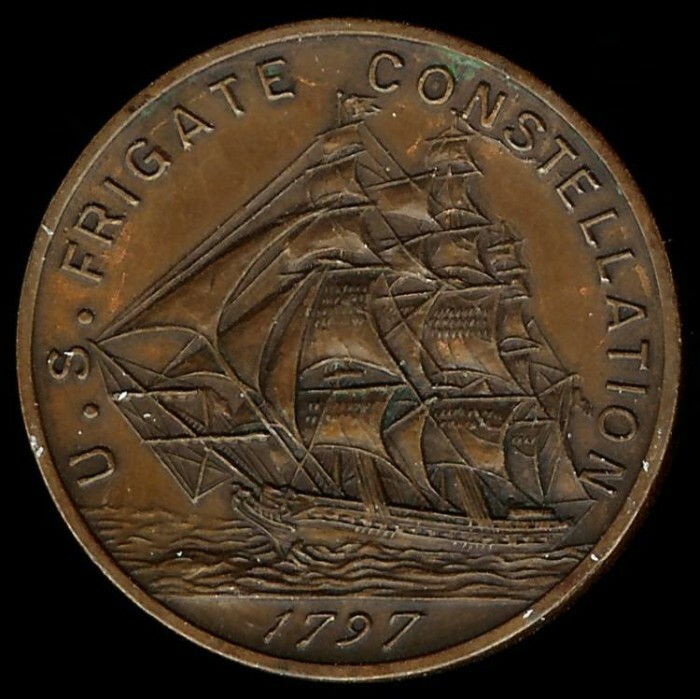 1797 US � Frigate Constellation Commemorative Medal. 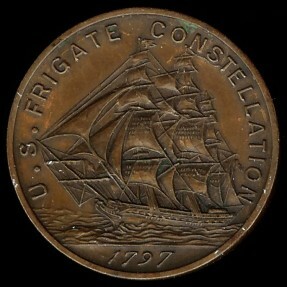 Obverse: U S FRIGATE CONSTELLATION / 1797 � Full sail depiction of the Constellation while at sea. 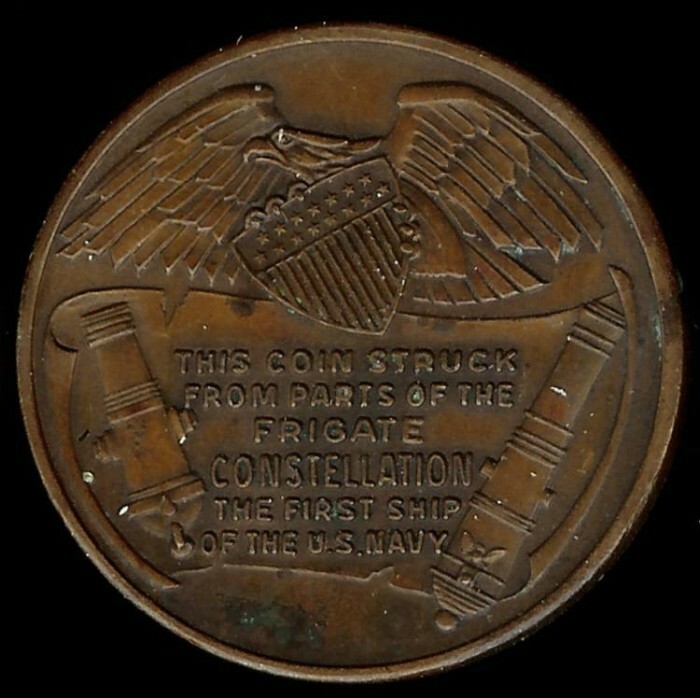 Reverse: THIS COIN STRUCK FROM PARTS OF THE FRIGATE CONSTELLATION THE FIRST SHIP OF THE US NAVY � Sis line legend surrounded by two cannon and an eagle clutching a shield. AU, Bronze, 32.01 mm, plain smooth edge, no edge marks. 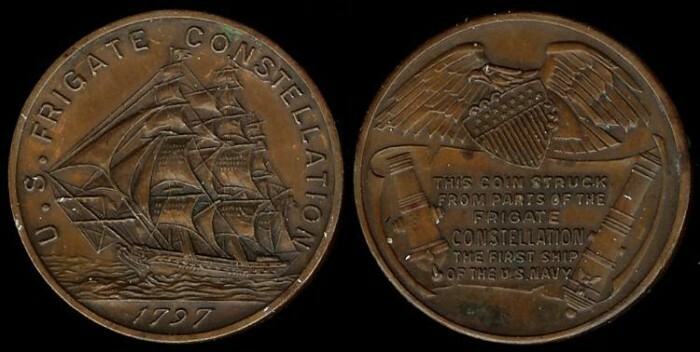 Early 20th century strike.